The purpose of this paper is manifold. b) and on the other hand that, he doesn't condone low-level madhyamas nor kanisthas to initiate, even if they're sannyasis, he has said at the end «at least madhyama-madhyama», he has unambiguously stated the limitations of madhyama gurus, even if they're qualified, while authorizing them to initiate even if they're not top-level madhyamas, while repeatedly presenting the solution consisting in approaching highersiksa-gurus later to complete the diksa process begun by these madhyamas. c) and that he repeatedly expressed his desire that his qualified sannyasis would start initiating, and urged them to do so in spite of their reluctance. 2) To thus reassure the doubtful that, while it may seem so, we're not going at all the ISKCON way about guruship. Even if our sannyasis are not all advanced madhyamas, they nonetheless have had for decades the direct opportunity of top-level sadhusanga, personal guidance and hari-katha from Srila Gurudeva, and some from various saints, that our godbrothers and nephews never ever had directly since 1977. They have been drilled on guru-tattva and the need for high-class association and the limitations of even madhyama gurus and the subsequent need for top-level siksa to complete the diksa process. 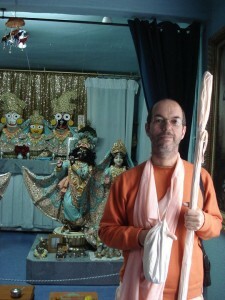 Also, that our sanga is not plagued by a dubious guru policy allowing even unqualified devotees to initiate, based on the rittvik-like misconception that the guru, even if not qualified, can nonetheless give everything his disciples are supposed to receive from a sad-guru, because he is connected to Srila Prabhupada and Prabhupada gives them everything through him, and therefore these disciples don't need to approach a qualified siksa-guru to get what they didn't get, as they already are getting everything, nor the subsequent unfortunate legislated idea that neither gurus nor disciples can receive such much needed higher guidance from anyone outside the walls of the institution.This being said, the value of the great preaching efforts of our brothers/uncles and nephews/cousins in ISKCON cannot be underestimated nor minimized. 3) To give the newcomers faith in their gurus, and to give everyone in our sanga faith in the sanga and its leadership, who is trying its best to fulfill Gurudeva’s desires and protect his legacy, faith that we're going the right way, that the aftermath of Gurudeva physically leaving doesn't have to be chaotic, as is often the case after the departure of such an elevated spiritual master, that he is still guiding, empowering and blessing us all. 4) To provide a systematic body of knowledge on the 3 adhikaras to help recognizing them, for the newcomers in order to make a proper choice of a qualified guru (all the while praying and depending on Krishna for providing them a qualified guru suitable to their needs, and confirming their choice) for the general body of devotees, for those considering to take the role of guru or having started to, for preachers. To show that to initiate as a kanistha or a low-level madhyama is not recommended nor authorized by Gurudeva, but that it is his desire and our understanding that he has duly authorized that qualified madhyamas can/should be gurus, that it is not a deviation but legitimate, while he and we acknowledge their limitations. To hopefully clarify and reconcile some apparently ambiguous or controversial statements of Gurudeva, such as, «they should do, who are qualified», «madhyama-madhyama», «they can all do it», showing that he didn't make blanket statements endorsing all sannyasis to initiate whatever their level is, and that these statements are not divorced from his other instructions as to what means to be a qualified madhyama guru. 6) To offer some practical guidelines like: How to choose a guru? How does a disciple see his guru? How can the disciples of one guru and the Godbrothers of that guru or other devotees, who may have a very different vision of that guru, interact harmoniously? In my naive pride, I hope that this paper fulfills these many ambitious purposes. Srila A.C Bhaktivedanta Swami Prabhupada consistently preached that a sad-guru is a pure devotee, a self-realized, liberated soul, an uttama-adhikari, a maha-bhagavata. However, in order to continue his mission, he hinted that his disciples could act as gurus even if they had not achieved this standard level, if they became qualified madhyama–adhikaris. Srila Bhaktivedanta Narayana Maharaja, Gurudeva, as a perfect follower of Srila Prabhupada, did exactly the same. It is appropriate to emphasize the superiority and ultimate necessity of an maha-bhagavata guru. That doesn’t mean that there is no place or validity for qualified madhyama–adhikari gurus, who are empowered by Krishna and their gurus. They are not mutually exclusive but complementary figures. The role of madhyama–adhikari gurus is very important in the deliverance of the jivas. By their enthusiastic preaching, they connect with Krishna consciousness people who would maybe otherwise never know bhakti. Then they help them to progress and be more and more qualified. This function of the madhyama–adhikari guru cannot be minimized on the pretext that it is incomplete, but appreciated. Srila Gurudeva did not change philosophy on guru-tattva. In the last few years, when he started to express his desire that his qualified madhyama-adhikari sannyasis should start to initiate their own disciples, he only clarified the limitations of their power much more than he did earlier. That being said, madhyama gurus, like any empowered preacher, don't just give exactly what they personally have, but are also a medium of mercy of their gurus coming through them, so Srila Gurudeva, while pointing at their limitations, acknowledged their validity. What did Srila Gurudeva say in earlier publications? “He should take the candidates to the uttama-adhikari”. But, as such type of spiritual master is rare, in order to continue his mission, he spoke repeatedly of the need for madhyama-adhikari diksa–gurus and clarified their position. He did not endorse them at all as fully qualified gurus, as sad-gurus. He repeatedly stressed the need for further guidance from a higher siksa-guru. Can a madhyama-adhikari who has come from the kanistha platform give mercy? “He must have some realization of Krishna; only then can he give Krishna from his heart to others. Without realizing Krishna, his prayers will not be heard by Krishna. He must also be detached from worldly desires and intoxications. Such a person is qualified to be selected as guru. If you have unknowingly chosen a guru who cannot help you, who has no self-realization, and who is not detached from worldly things, then give him up and take shelter of a real guru, a sad-guru. If your guru is a Vaisnava but he does not know sabda–brahma, if he has insufficient knowledge of sastra–jnana but he is a sincere Vaisnava, then when you finally meet a real guru you can take permission from that sincere Vaisnava: 'I want to develop my bhakti, so I want to associate with this pure devotee.' That sincere Vaisnava, your first guru, will happily permit you. If he does not permit you to go, he is not guru; you can reject him. For example, suppose you have bought a cow for milking, but after some time she has stopped giving milk and will never again give milk. You still want milk, so you will have to get another cow". Devotee: Although some bhaktas have a desire in their heart for a pure guru, still they go to an un-bona-fide guru and don’t realize it. Why is this? Is it due to committing aparadhas? Srila Gurudeva Answer: “He can give something, even though he does not have that realization. Then, in this life, or in future lives, you will find a perfect guru; and by surrendering to that perfect guru you will be able to realize your relationship with Krsna”. “What about the disciple of a madhyama-madhyama”? Srila Gurudeva said in the last couple of years that he thought his sannyasis in general and some in particular were qualified to accept disciples. Answering the sannyasis' own doubts about that, he said that their qualification was that he had trained them so much in guru–tattva, so he had faith that if they took disciples even while not being fully qualified, they would send them for siksa to a superior Vaisnava when one would manifest. So it's not that he changed philosophy and suddenly said they were all very qualified madhyama–adhikaris just because, as sannyasis, they're doing the work of madhyamas. ISKCON sannyasis are also doing a similar work but he never accepted them as madhyamas on that basis. He never said all his sannyasis were madhyama-adhikaris fully qualified to become diksa-gurus, as his sannyasis also include kanistha-adhikaris and low-level madhyamas. He made an adjustment based on his faith that his insufficiently qualified sannyasis would defer their followers to more qualified sadhus for diksa or siksa. It is a myth that Srila Gurudeva supposedly wanted all the sannyasis to initiate whatever their level. This means that there will be very highly qualified sadhus who will manifest. Is this encouraging statement to be neglected? Should there be a rush for new people to be initiated without having developed some prior understanding of guru-tattva and without a period of mutual observation between guru and disciple? Srila Gurudeva always insisted on trying to secure an uttama-adhikari as one's guru and the need for high-class association and this should be taught to new people, along with education on the science of guru-tattva. Shouldn’t we as well pray, cry and look for such association, especially those who take the position of diksa–gurus? In his classes in 2008, Srila Gurudeva explained, “Bhakti manifests in the heart of a devotee by the mercy of the madhyama-adhikari and not of the uttama-adhikari who sees everyone equally. Which madhyama? An uttama-adhikari in the role of an uttama-madhyama, or a madhyama-madhyama. “We must consider that the presence of uttama-adhikaris , madhyama-uttama-adhikaris (those approaching the stage of bhava), and even madhyama-madhyama adhikaris are very rare in this world. It is very rare, therefore, to have a guru of this caliber. What should we do under these circumstances? We will have to take a guru. If a guru is not sabde pare ca nisnatam, if he has not realized the established truths delineated in the Vedas, Upanisads and other sastras, but he has very strong faith in his pure guru and is sincerely following him, then, even if he is a madhyama-adhikari, do not reject him. If he is always serving his own maha-bhagavata guru and is obedient both internally and externally to him, then do not reject him. If the guru is madhyama-adhikari and sincere, if he is very obedient and following the footsteps of his guru, then he will gradually become an uttama-adhikari. So we should not reject him. How to choose a spiritual master? What should an aspiring disciple do? By sastric knowledge one can have an idea of who is qualified, but a new devotee has little such knowledge, so he must wait and learn some guru-tattva, including siksa-guru-tattva. That will help dissipate misconceptions. One should ideally have already some good understanding of the qualifications of a bona fide guru before to accept one, not act out of blind faith or sentiment or anxiety to have a spiritual name or follow the flock of sheep logic. Newcomers have difficulty evaluating the level of advancement of the sannyasis, and they tend to go by social considerations. It is advisable to observe the sannyasis’ activities, how they are interacting with the other Vaisnavas. Consulting trusted senior Vaisnavas is also a good idea. To be Indian or to give nice harikatha are not in themselves criteria to be a qualified guru. The new devotees have the tendency to idealize the sannyasis or the senior preachers. They also have the tendency to believe that if they speak of their limitations, it is only out of humility, and that they are therefore even more qualified. One should wait until he is fully convinced that the guru is a pure representative of God. This waiting period is important to build and deepen one’s faith. “It is to be considered that a disciple can have the capacity to comprehend the amount of scriptural knowledge possessed by the guru by hearing from Him. But how can a disciple understand whether the guru has realization of Divinity or not? The Supreme Lord is the Transcendental Reality, His Absolute Counterpart, the guru, is also transcendental. Therefore, a neophyte votary cannot understand the guru’s realization of Divinity by his own endeavor. There are two aspects of the Supreme Lord and His Absolute Counterpart, the guru, the morphological aspect and the ontological aspect. The conditioned souls can by their mind, intellect and sense-organs grasp the morphological, i.e. the external aspect of the thing, the thing as it appears, and not the thing as it is. The thing as it is can be realized only by the grace of the Transcendental Realities, through unconditional complete surrender. As for example, the self-luminous sun can only be known by its own light and not by the help of other lights. We cannot see the sun in the night with the help of other lights, but when the sun rises, by accepting the grace of the sun—its light— we can see the sun and all the things of this world in the proper perspective. The Supreme Lord and His Absolute Counterpart, the guru, are self-effulgent. "Before accepting the diksa–mantra, one should live near the guru and serve him with body, mind and words. This is called 'guru–pasati'. By this, the guru and disciple can examine each other's nature and temperament. Then the guru–tattva melts with compassion, being satisfied by the non-duplicitous service of the disciple. At that time, the priceless fruit of diksa is attained by the disciple" (Gurudeva commentary on Madhurya-kadambini 2.6) Lord Balarama, who is akhanda–guru–tattva, the original guru principle, is in the guru, as guru-tattva. When that guru–tattva is satisfied by a devotee's sincere vaisnava-seva, it manifests from the heart of that Vaisnava in the form of diksa. If one accepts a guru hastily without observation, and building one’s faith, one may leave him as quickly, or the relationship will remain on a shallow platform. Srila Gurudeva says that one should ideally take a top-level guru but that it's rare; so another way to look at the problem is that one can analyze, without sentimentalism nor idealization, if a guru who inspires him is at least a well-situated madhyama-adhikari and, understanding that he is limited, have faith and hope to get a high-class siksa-guru later. But more than anything, one should sincerely cry out to Krishna to send him a bona fide, self-realized spiritual master. “The problem is to find this [bona fide] spiritual master?" “That is not the problem. The problem is whether you are sincere. You have problems, but God is within your heart. If you are sincere, God sends you a spiritual master." So, one should study guru-tattva, become very sincere and, moreover, especially cry to the Lord, fully dependent on Krishna's arrangement, asking Him to inspire him from within the heart to recognize a real guru. And one will feel in one's heart, Krishna's inner confirmation. How should a disciple see his guru? The ideal guru is an uttama–adhikari coming down to the madhyama–uttama platform to preach. All what the scriptures say about the guru applies to that kind of guru. Should the disciple see his guru as a nitya-siddha? Well, in raga-marga, when ruci appears, it appears with a slight trace of rati. This rati is nitya-siddha bhava making its first appearance. Therefore, even if that madhyama guru is not a nitya-siddha, his internal emotion is tainted with nitya-siddha bhava. So it could be said that the disciple can see this type of guru as a nitya-siddha because he has some nitya-siddha bhava. Sadhana-siddha gurus become nitya-sakhis and nitya-siddha gurus are already prana-sakhis. So the discussion , 'Is my guru a nitya-siddha or a sadhana-siddha?" is essentially "Is my guru a nitya-sakhi or a prana-sakhi?" This discussion is practically irrelevant for newly initiated devotees, being beyond their capacity to know until they’re very advanced. In the beginning one should see his diksa-guru as saksad hari, a direct manifestation of God. That is enough. Until the disciple himself becomes free from anarthas and attains ruci, he has no internal realization anyway. Devotee: “So, is it proper to even consider the possibility that one’s guru was once a baddha–jiva who achieved perfection and then came back to deliver the fallen souls?" Gurudeva: "A guru may be like that, but we should understand our guru–parampara in this way: saksad–dharitvena samasta–sastrair. All the scriptures proclaim Sri Gurudeva is saksad–hari, the direct potency of Sri Hari, and he is thus considered by saintly authorities to be His non–different representative. Because Sri Gurudeva is so dear to the Lord, being His confidential servitor (acintya–bhedabheda prakasa vigraha, the inconceivable different and non-different worshipable manifestation of the Lord), I offer prayers unto his lotus feet. We should consider that, “My Gurudeva is nitya–mukta." Madhava Maharaja: "Eternally liberated. If you think that he was conditioned, you may minimize his glory and then commit offenses." 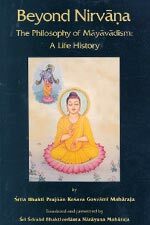 Gurudeva: "Some gurus were baddha–jivas who were liberated and became associates; they are also considered acaryas. And some are directly nitya–mukta krsna–parikaras, eternally perfect associates." Madhava Maharaja: "It is best to consider guru as eternally liberated. Guru speaks of himself as an ordinary jiva just to inspire the conditioned souls that they too can follow the process of bhakti and achieve perfection: Otherwise, those conditioned souls might become hopeless. They might develop a tendency to delay their bhakti process." Devotee: Is there any difference between the siddha–jiva and Your Grace? Gurudeva: As a disciple, you should think I am a perfected soul, but I am not. I don’t want to cheat you. I am not perfect. I am a baddha–jiva (conditioned soul). Padmanabha Maharaja: This can be compared to Caitanya Mahaprabhu, who never wanted to be called Bhagavan, but who actually is Bhagavan. Devotee: I would like to ask how one can realize that Sri Guru is omniscient? Gurudeva: Guru is sarvajna (all-knowing), because Krishna is sarvajna. Krishna is present within guru; therefore guru is sarvajna. He knows what will happen to whom. Devotee: If someone knows that you are sarvajna but he still performs wrong acts and does not speak the truth, can that person get bhakti? Similarly, nowhere in Prabhupada's teachings do we find even a remote encouragement to take full shelter from someone who is still battling with anarthas. It is not that one has all the exalted qualities of a guru extolled in sastras because one has taken the position of guru, but the other way around. Also, if a devotee has knowingly settled for a madhyama–adhikari because he couldn’t find an uttama–adhikari, his vision will obviously be different, wouldn’t it? not take initiation. And without that faith, the disciple won’t progress. Even if the guru is not very highly qualified, if he is a sincere madhyama-adhikari and if the disciple is sincere, Gurudeva said that Krishna will reciprocate that faith, take the service, and make arrangements to help that sincere disciple by guiding him to a higher guru. Anyway, we can consider that the level of sukrti of someone determines the kind of guru one will approach as well as the vision one will have of one’s guru. How to reconcile different visions of the guru? Srila BR Sridhara Maharaja has discussed this in the 8th chapter of Sri Guru and his grace. We are now, just like in ISKCON after Srila Prabhupada left, in the beginning of a socio-spiritual dynamic that is going to be increasingly common in the coming years. That dynamic is that devotees will have varying degrees of faith in those who are acting as gurus. Those who are disciples (siksa or diksa) will have a specific faith that requires acknowledgement and support from those they associate with. Bhakti is based on faith, and devotees have to be careful not to damage that tender faith of new disciples in their guru. Their Godbrothers and other devotees can dealwith the gurus in private in a certain way, but they should not show lack of respect to them in front of their disciples, nor criticize them, as those will naturally be uncomfortable in any environment or association that does not support their faith. We all have this need. It is the same dynamic that keeps us away from ISKCON, even though we may appreciate many of the aspects of that society. It is the same dynamic that is partly the cause of the Gaudiya Math having different branches. It goes without saying that if the new gurus want the support of the sannyasis and senior devotees, and recognition of their position in front of their disciples, they must treat them respectfully and not in a condescending way in front of the same disciples, nor criticize them in their absence. They have to teach Vaisnava etiquette to their followers, which include respecting the guru’s godbrothers as the guru, as well as his cousins, what to speak of his uncles. Failure to do so could create unnecessary frictions and offenses. An institution like the Gaudiya Vedanta Samiti with three pure devotees acting conjointly and in harmony succeeded because of the demanding insistence by Srila Vamana Maharaja, the initiating guru, that all his disciples accept Srila Gurudeva, and Srila Trivikrama Maharaja as they would him. They were fully appreciative of one another and united in mood and service to their guru, Srila Bhaktiprajnana Kesava Maharaja. They required that all the devotees in their sanga follow their example. Even the most optimistic person would have to admit that we do not have yet that kind of full unity among the senior devotees in our very broad based society. We have to develop the communication channels for dealing with the varied visions and moods between guru and disciple, guru and godbrothers, and disciples and godbrothers of guru. Even if the gurus and godbrothers get along pretty well, the disciples may wish that the godbrothers have the same mood towards their guru as they do. And if they see that they don’t, they may perceive this as lack of respect or even offense to their guru. And perception is the key word here. If a senior godbrother of their guru does not exhibit the same kind of faith that they do, they may feel uncomfortable. Therefore there is a great need to educate the disciples that there are two visions, the absolute vision of the disciple towards his guru, and the relative vision of those who are not disciples of that guru. And the disciples have to be taught that this difference is completely normal and that they cannot expect, what to speak of demand, that those who are not disciples of their guru see him as they see him. It is also possible that devotees of various new gurus will feel comfortable with each other. But for disciples of Srila Gurudeva and Srila Prabhupada who have not developed a similar mood of attachment, it may be a cause of uneasiness. We have seen this before, where godbrothers were even gradually pushed away, or felt disenfranchised, and took their distance from an institution quickly filling up with the neophyte disciples of the new gurus. So, some may have an initial reaction like, “Do we have to put up with this again? Doesn’t it smell like déja vu? 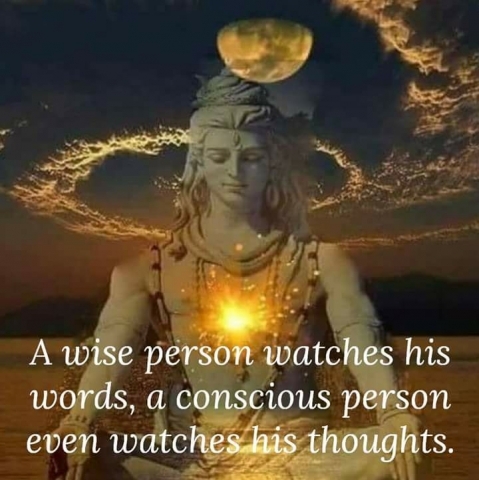 Do we have to shut up again because some not so qualified devotees act as gurus and we are supposed to give them support, not make waves, and ‘play the game’ again?’ Some of us may not feel like condoning some not so qualified gurus because we saw in the past what happened in ISKCON. But we can consider that Gurudeva said he had faith. And because Krishna sees the disciples’ sincerity, he will help them, so is there really a problem? These are delicate times and we have to take the high road in our dealings with the younger devotees. We are going to have to be patient and tolerant, always trying to figure out a way to keep our society in one piece more or less. If we can do that, we will have accomplished something rarely seen since the time of Mahaprabhu and His associates. If we want to have a successful worldwide society, then a broad minded, compassionate and accommodating approach will be required. The guru naturally feels vatsalya towards his disciples and the need to shelter and support their faith. This can easily cause the guru to encourage his disciples to avoid the association of his godbrothers if they don’t support their faith. He may also be inclined to dis-associate himself from those godbrothers as well. Srila Gurudeva has expressed the same things. Gurudeva expressed in Italy in 2010 his conviction that in the absence of an uttama-adhikari or a top level madhyama-adhikari, at least a madhyama-madhyama adhikari could be accepted as diksa-guru. This being said, to say that a madhyama-madhyama adhikari can initiate is vague and not sufficient in itself. What are his symptoms and characteristics? To help determining who is in the madhyama-madhyama stage, and what exactly that means, to begin with, let us examine what are the symptoms and characteristics of a madhyama adhikari? One may define him both as what he is not (tatastha-laksana, secondary symptoms) and what he is (svarupa-laksana, main symptoms). He is not an uttama-adhikari, neither a kanistha-adhikari. Let us see first what are the latter's. The qualities of kanistha adhikari are disqualifiers for the madhyama stage. One of them is is that a kanistha-adhikari devotee does not know how to properly behave with others, Vaisnavas or persons in general. If a devotee has bad relations with their god-brothers or is always criticizing others or always in dispute with others, political, etc. these are symptoms of a kanistha adhikari, even though they may be quite learned in sastra or situated in a high social position (such as sannyasa). Also if a person lies, cheats, or is hypocritical, then they are a pretender, and at best a Vaisnava-abhasa (kanistha). "Kanisthas are those who have embarked upon the path of bhakti, but are not yet true bhaktas…Sraddha is the bija, or seed of bhakti. One’s bhakti is only effective when he worships Bhagavan with sraddha, and it is still not suddha-bhakti unless he worships the bhaktas as well. Bhakti does not develop thoroughly as long as he fails to do so…Such materialistic devotees are not suddha-bhaktas"
“Sri Krishna, who is affectionate to His devotees and situated in their hearts,cleanses all anarthas from the hearts of those who have developed the urge to hear His messages, which are themselves virtuous when properly heard and chanted.” (Srimad Bhagavatam 1.2.17). As the process of anartha-nivrtti (cleansing of inauspicious elements in the heart) continues, one approaches the stage of nistha. It is strongly recommended that one shouldn't initiate disciples as a kanistha-adhikari. Although they are engaged in devotional practices, kanistha gurus are still affected by material desires and they maintain separate interests. Their preaching doesn’t have much power because they’re spiritually weak. Their faith is pliable and weak. They don’t know how to associate properly with other Vaisnavas, and they commit aparadhas. They have little discrimination about with whom to associate or not. They still have a lot of anarthas and therefore cannot deliver their disciples from material entanglement. Advancement under their insufficient guidance is limited. They cannot give suddha-bhakti. It is advised not to accept them. They risk to fall down. They are not qualified gurus but ‘kangurus’. « A vartma-pradarsaka guru is one who says, “Come with me to a realized Vaisnava.” The vartma-pradarsaka guru shows the path. He may be kanistha, that is alright. But the initiating guru should not be less than a madhyama-adhikari. What are the symptoms of madhyama-adhikari? You need to know these symptoms before accepting a diksa or siksa-guru. If you do not see these symptoms, you should not accept a person as guru. Otherwise, there will be so many difficulties in your devotional life. If that guru falls down, your life will be ruined and you will cry bitterly. In order to achieve real bhakti to Sri Krishna, have real happiness, and realize who you are and how you can progress in this life, go to a self-realized soul and hear his realizations from him. He will surely help you. not absorbed in bhajana, if his bhakti is not very developed, then he is not a guru. The second symptom is upasamasrayam; he is detached from material desires. He is always so happy serving Sri Krishna. If he is unhappy and feels that his life has so many problems, then he is not qualified to be guru. These first and second symptoms are external. The svarupa, or internal symptom, of the bona fide guru, the third symptom, is pare ca nisnatam brahmany, he is realized in krsna-bhakti. Without his having this realization, because he still has material desires, he is bound to fall. Who is Parabrahman? Krishna Himself. He is param-brahman, purna-brahman, sanatana-brahman. A guru should have some internal realization of this, otherwise he may fall down. If he only knows sastric arguments, but he is not absorbed in bhajana, it is not sufficient to keep him from falling down. approach devotees who will not fall. 1) prema—He has love and affection for Krishna. 2) maitri—He shows friendship towards and offers service to the Vaisnavas. He has three kinds of relations with three kinds of Vaisnavas: he honors and obeys with a mood of friendship one who is more advanced than himself in bhakti. He relates to equals as friends, and he is also friendly to those whose bhakti is less developed. So he has maitri (friendship) with honor for superiors, maitri with mitra (friends on an equal level), and maitri with kripa (compassion) for subordinates. Again, the kind of madhyama-adhikari Srila Gurudeva is speaking about here is at least a madhyama-madhyama. (The third characteristic of the madhyama Vaisnava is that he bestows mercy on the ignorant. The word balisa refers to people who are ignorant of spiritual truth, bewildered, or foolish. It means materialistic people who have not received any genuine guidance in spiritual matters, but have not been contaminated by unauthorized doctrines such as Mayavada. They are not envious of bhaktas and bhakti, but their mundane egoism and attachment prevents them from developing faith in Isvara. Learned scholars also belong in this category if they have not attained the highest fruit of study, which is to develop faith in Isvara. The kanistha-adhikari prakrta-bhakta is standing at the doorway to the temple of bhakti, but because of ignorance in the principles of sambandha-jnana, he has not yet attained suddha-bhakti. Such a person is also regarded as balisa until he comes to the platform of suddha-bhakti. When he becomes acquainted with the truth of sambandha-jnana, and awakens taste for suddha-hari-nama in the association of pure bhaktas, his ignorance will be dissipated, and he will attain the status of a madhyama Vaisnava. should also act in such a way as to awaken their faith in ananya-bhakti and their taste for suddha-nama. That is the real meaning of mercy. sastras. The madhyama Vaisnava should always protect such susceptible people from bad association. He should mercifully give them his association and gradually instruct them in spiritual matters and in the glories of suddha-nama. « It is generally observed that madhyama-bhaktas perform harinama, kirtana, and other such activities in the association of bhaktas,free from any offense…The secondary symptom of the madhyama-bhakta is the way in which he lives his life. His life is completely surrendered to the will of Krishna, and is favorable to bhakti. Some tendency to commit sins or offenses may remain in the beginning stage, but gradually these will disappear. Whatever sins or offenses are still present at the beginning of the madhyama stage are like chick-peas that are just about to be ground to a pulp; they are still seen as small lumps, but within a few moments they will be crushed and will cease to exist. Yukta-vairagya (appropriate renunciation) is the life and soul of the madhyama-bhakta. stages of consciousness but that actually no two devotees are exactly on the same level and everyone is in his own category, so to speak. « Nistha means to have the quality of steadiness, or naiscalyam (non-movement). Though a devotee tries for this steadiness every day, as long as five persistent obstacles are still present, he will not be able to attain it. These are laya, viksepa, apratipatti, kasaya and rasasvada. Laya means the tendency to feel drowsiness and to sleep during kirtana, sravana and smarana (japa) in order of increasing tendency. It is due to leftover tama-guna. Viksepa means to maintain mundane association, or to be distracted towards mundane topics while doing devotional activities, like being absorbed in other thoughts or gossiping during japa. Apratipatti, or indifference, feeling uninspired, refers to the occasional inability to do kirtana or other service in spite of the absence of sleepiness or distraction. It's also due to tama-guna. Kasaya refers to the instinctive or innate tendency towards such qualities as anger, avarice, greed and pride, due to past samskaras. Rasasvada means to think of sense enjoyment while doing one's bhajana, or the inability to absorb the mind in kirtana and other services if one gets the opportunity for material sense pleasure, or if one remembers past sense enjoyment. One can examine if the behavior of a devotee one is inspired by and considers to accept as guru is free from these 5 anarthas or not. The words nasta-prayesv-abhadresu (inauspiciousness is almost destroyed) mean that a small portion of anarthas still remains undestroyed. Nistha is firmness in the striving for the unfolding of bhakti. « Nistha is of two types: concerning bhakti directly, in its three basic divisions, bodily services, vocal activities (japa, kirtan) and mental activities (remembering, meditation), and concerning elements favorable to bhakti, which refer to qualities such as humility,tolerance, giving respect to others, not expecting respect, gratitude, friendliness, mercifulness, self-control and mental tranquility. It should be noted that nistha covers also a wide spectrum, from barely graduating from the kanistha-adhikara to the brahma-bhuta stage in approaching ruci. Srila Gurudeva did not recommend that one on the beginning of the nistha stage initiate disciples. As I mentioned earlier, when he speaks in Pinnacle of devotion of accepting « a madhyama-adhikari guru » without saying exactly what he means, in case one cannot approach a more qualified guru of the madhyama-madhyama level, it makes sense and seems safe to conclude that he is referring to being on the mature stage of nistha and having a strong footing in ruci as the very minimum level to initiate disciples, since he has said that a neophyte madhyama shouldn't. Nistha is the stage of madhyama-kanistha. Then comes the stage of ruci. Consciousness is not a static but moving, dynamic thing, so there's fluctuation; the various stages kind of overlap. This is a continuum of consciousness, not a black and white thing, so it can be said that madhyama-madhyama goes approximately from being solidly established on the ruci stage « up to asakti. » as Gurudeva answered in Italy morning walk 2010. This is ideally the minimum level to initiate disciples that he indicated. Ruci is the stage where pure bhakti begins. If one is fortunate and has the appropriate previous samskaras, he may enter the sacred path of raganuga-bhakti. addiction to the activities of bhakti. One is like an addict who becomes restless in the absence of the object of his addiction and can't live without it. type of ruci doesn't depend on such excellence of elements. …Then somewhere some time the devotee becomes like a bee tasting the nectar of the fruit of the desire tree, the Srimad Bhagavatam. He remains constantly with the devotees, sitting with them conversing about the nectarean pastimes of the Lord, relishing and glorifying them again and again, to the exclusion of all other topics. He enters the sacred dhama and becomes fixed in the pure, unalloyed service of the Lord (seva-nistha). Ignorant people think he is going crazy. A Vaisnava with ruci will usually be very concerned with deepening his own realization to the stage of asakti before accepting the responsibility of disciples, which may hinder his progress and become a distraction. Then comes asakti, which is at its beginning partly the madhyama-madhyama stage and at its mature stage partly the stage of uttama-madhyama adhikara. Srila Gurudeva indicated many times this stage as the preferable stage to begin taking the role of diksa-guru. He will engage in drinking nectar in intimate talks or in listening to hari-katha…At times, he'll remain in his house like a wealthy but miserly merchant greedy for treasure, absorbed all day in thoughts, 'where shall I go? What should I do? This is the stage where the uttama-adhikari 'comes down' or rather adjusts his vision and operates for the sake of preaching. When the uttama-adhikari, who has either come down from the spiritual world or achieved perfection from the sadhana platform, is in ardha-bahya-dasa, semi-external consciousness, he 'becomes' a madhyama-uttama. This is the ideal level a guru should be on. Bhava is the beginning of the uttama-adhikara. Actually, maturing asakti and bhava are overlapping, so much so that it can be said that they are very similar, and that madhyama-uttama and uttama kanistha are almost non-different in their respective end and beginning. « It is moksa-laghutakrt, it makes liberation seem insignificant. Just one atom of bhava totally uproots ignorance. At the stage of bhava, the spiritual aspect of I and mine becomes absolute; it seems as if it enters into a spiritual body suitable to his desire to serve the Lord, and the material aspect is reduced to an empty shadow, like when one just wakes up from a dream and still almost sees that dream for a moment before his eyes. His material body remains almost as he had left it. His sense of possessiveness (mamata) becomes like a bee to relish the nectar of the Lord's lotus feet. levels of eligibilty to practice vaidhi-bhakti. Bhaktivinode Thakura is explaining the subject based on the symptoms described by Srila Rupa Goswami in Bhakti- rasamrta-sindhu ch 2, and it makes perfect sense in that context. (BRS1.1.45) Since when ruci appears bhakti-tattva is easily understood, that person is "sastra-yukti sunipuna" and has drdha-sraddha, so they have the best (uttama) eligibility for vaidhi-bhakti sadhana because sadhana truly begins from ruci. Before ruci it is considered sadhana-abhasa. So that is the first context. uttama-bhagavata. They're also sometimes called "adhikaris" but the context is the level of eligibility for bhakti as a whole, not just sadhana. "According to the characteristics of this description, all three classes meet the standards I have described for madhyama and uttama. None of them corresponds to the kanistha." In other words, he confirms that each description has its own context, but they do not correspond if we try to cross reference them one-to one. Lord as associates (parsadas). Such persons are the best of all uttama-bhagavatas. 2)Nirdhuta-kasaya: Those who, although still residing within the gross material body made of five elements, have no trace of material desire (vasana) nor any material impressions (samskaras) within their hearts are called nirdhuta-kasaya (who have thrown off all material impurities). They belong to the intermediate class of uttama-bhagavatas. «Love enriched with the feeling of possession, in which one feels, 'the Lord is mine' is called prema. The devotee relishes the nectar flowing from the fruit of prema in the form of concentrated bliss, sandrananda. The sublime nourishing potency of this nectar is its power to attract even Krishna, sri-krsna-karsini. Prema is in its intrinsic nature a dense, consolidated and ecstatic bliss. Once awakened, it never ceases, even if there be strong grounds of a break or cessation. pray to Krishna to send him an uttama-adhikari guru. It is quite rare. So if one doesn't find such a rare uttama–adhikari, one can accept a qualified, seasoned madhyama-adhikari as one's diksa-guru, preferably an uttama-madhyama or a madhyama-madhyama. As a madhyama-adhikari guru cannot give everything one needs, one should keep on praying for the association of an uttama–adhikari. When one will deeply feel the need for one, and if and when one will find one, one can accept him as siksa–guru with the permission of one's diksa–guru, (who will hopefully have already found him and taken his disciple at his lotus feet for the benefit of both of them). There is a kind of myth going around: On the basis of the quote just above, some say that Srila Gurudeva cheated his ambitious sannyasis. He supposedly told them that they could initiate only because they were impatient to do so, and that he wanted to see how they would react when pretty disciples would approach them. “Because it is itching the mind of some“. So, some may have had that desire. And he used the word 'some' twice, when answering the two Indian sannyasis. When different devotees approached him to clarify that, and directly asked him if he was cheating, he replied that he meant what he said and was not fork-tongued. Again, a body is made of individuals, and with one action many purposes are fulfilled, so he may have tested some sannyasis, putting them in a situation where they could confront their anarthas, but one cannot apply this to all his sincere preachers, who were mostly most reluctant to initiate although Srila Gurudeva urged them to, as can be seen in different darsanas. before that madhyamas gurus can be accepted as diksa-gurus in the absence of an uttama-adhikari, and that Krishna would make the arrangement for sincere disciples of sincere madhyama-adhikari gurus to meet an uttama-adhikari siksa-guru to get what they didn't get from their diksa-guru. This is not a no-string-attached license. It comes with an assorted responsibility of teaching one's followers about their need to complete their diksa by approaching a higher siksa-guru. bound up Krishna in his heart, only he can make Krishna appear in the heart of his devoted disciple. No one else can give you Krishna. If someone has not gotten, how can he give? Guru-tattva only gets complicated when we try to justify somebody who is below the level of self-realization, who is not chanting suddha-nama, and we try to philosophically show that such a person is a fully qualified guru. stage ( beginning in solid ruci), they should not compromise the philosophy of guru–tattva, but present it as it is. It is not our business to try and second guess why somebody takes on the service of guru, but guru-tattva should be presented unadulterated. This is most important. We can be very optimistic for the future of our sanga as long as we keep on doing that, as Srila Gurudeva did, and we don't blur the difference of what you can get from gurus of different adhikaras. As mentioned earlier, new devotees should be systematically trained in the science of guru-tattva so that they can choose a qualified spiritual guide. They must have a strong grounding in complete guru-tattva and the unambiguous and collectively supported goal of taking association and guidance from devotees of the highest caliber available, ideally from maha-bhagavatas. They shouldn't be taught that these high-class devotees don't exist or are so rare that it's futile to hope to have such a diksa–guru or that any sannyasi is automatically a fully qualified guru. On the other hand, Srila Gurudeva has warned his sannyasis against criticizing those acting as gurus to a prospective disciple. 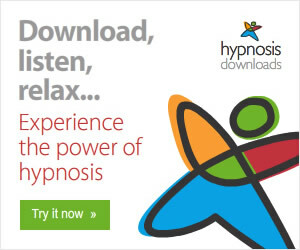 free?” Guru means heavy. It also means heavy responsibility. It is not an easy affair to deliver even one soul from the clutches of maya, the fort of Durga. To do so, the guru has to spend gallons and gallons of spiritual blood. This is not child’s play. One shouldn't play the guru if he is not qualified. So one should mercifully guide his followers to someone more qualified who can deliver them. What kind of guru do you want or can you afford? A top level sadhu is very rare. Still, such sadhus are always there. Because we are conditioned souls, our vision is defective. Although such a sadhu may come before us, we cannot see him. Therefore, one should not say that there are no sadhus. Instead, one should say, « I am a blind person. I cannot see a sadhu ». Also, more often than not, new disciples will be content with any madhyama guru because a personal, closer relationship can been established and one can have more association and guidance. So it depends on what one wants and also what one's sukrti allows one to get. A suitable arrangement will be made for everyone by Krishna. Srila Gurudeva said many times one gets a guru of different caliber according to his sukrti. (B) Acting gurus represent themselves as followers of maha–bhagavata devotees and explain that whatever potency they have is by the grace of these great devotees. but takes the position of guru is cheating if he is not honest about his actual position. whom would accept one as guru. Their honesty is also that, in all humility, they must themselves honor and worship the uttamas they may perceive around them and with honest sincerity be constantly seeking those higher souls for nourishment, guidance, encouragement and blessings. We have been taught that a madhyama-adhikari will always see this as his top priority and enthuse others to see the need to do the same. Srila Gurudeva or some other high-class sadhu. It seems that “shoe” now fits us all. eventualities. If our centers, groups and leaders are firmly situated in our philosophy and our relationship with Srila Gurudeva, we can easily absorb such situations. Vaisnavism is not narrow nor sectarian but broad-minded. We have to reconcile the idea that our devotees should listen to our own sannyasis, because they transmit Srila Gurudeva's mood and particular presentation of our acaryas' teachings, with the legitimate search for high sadhu-sanga and suddha-nama. You can read again for yourself the details of the darsanas and morning walks wherein Srila Gurudeva told that all qualified sannyasis can initiate. You don’t have to recommend anyone as a diksa–guru if you don't feel comfortable to. If someone asks you who you recommend, you can tell them to pray for an uttama-adhikari, and that you don’t recommend any name because you don’t want to interfere, that it is between them and Krsna, that Krsna will arrange according to the aspiring disciple’s spiritual destiny. It is important to always glorify Srila Gurudeva and Srila Prabhupada and always tell new people that they are the main spiritual guides of all the devotees in our sanga. You can speak about the difference between the 3 kinds of devotees. At the same time, when new people tell you they are already initiated by one of our sannyasis, or will be initiated by one of them, you can express something obviously nice about their guru. You don’t have to say they're uttamas or anything and you don’t have to tell them to have faith or not have faith. You can be an encouraging friend. Don't worry! Srila Gurudeva said he had faith! Anyway, the reality is as it is. We have to face and live with what is our present reality in the aftermath of Srila Gurudeva's physical departure. There are many “new gurus” and there will be more, and it is inevitable that there are many different levels and types: some high class, some medium class and inevitably some of lower standard. Give the new gurus the benefit of the doubt. Srila Gurudeva said that they shouldn’t think they are gurus and that he had faith that they would send their disciples to a higher-level sadhu when one will manifest. That will be the test. Give them some time before judging them. In answer to the first, I will say that I'd rather err on the side of caution than unquestioningly condone everything, but that I am very optimistic about the future of our sanga, as long as we follow some simple and obvious guidelines. To the others, I will say that I am precisely not unquestioningly going along with the flow, and that I stress the importance of these very guidelines. This being said, I don't want to_ and we shouldn't_ minimize the very valuable service offered by those devotees who are qualified, among those who are taking recently the responsibility to accept disciples and guide them. They are satisfying the desire of Srila Gurudeva and our guru–varga and bringing happiness to many souls by bringing them closer to the fold of Gaudiya Vaisnavism, through which they can access the Lord's most merciful dispensation of mercy to date. Please bless me that I may understand properly the desires of our holy masters, especially Srila Gurudeva, and contribute in fulfilling them.